Election flying squads seized over Rs 65 lakh from different town including Capital city Itanagar on Monday night. As the general elections to Lok Sabha and State Assembly polls approaching fast, the various agencies engaged by the Election Commission stepped up their efforts towards enforcing the model code of conduct and in the process, seizure of unaccounted cash and other goods is on the rise accordingly. Last night, the capital police seized Rs 4,03,000 from two persons at the Banderdewa check gate and another amount of Rs 1,32,300 from one person by static surveillance team (SST), taking the total seized amount to Rs 23,15,300, police said, while adding that another Rs 2.5 lakh was seized by the police from Khola Camp. Meanwhile, a police source said that a whooping amount of Rs 34.9 lakh was today seized at Tissa in Longding district along the Longding-Khonsa road by SST. 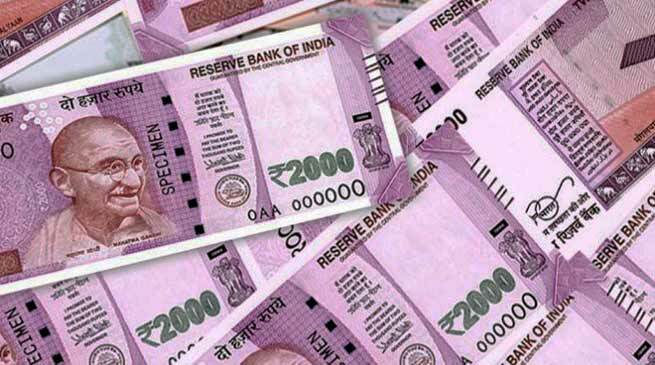 DIPRO reports from Basar: The flying squads and static surveillance team with the help of police under the supervision of Executive Magistrate Murnya Kakki of Lepa Rada district have seized cash amounting to Rs 3 lakh at Dari under Basar today. The seized amounts have been deposited to the Nodal Officer (EEM), DEO Aalo for further action. The another team of Flying Squad, Static Surveillance and Liquor Monitoring Team have seized 250 grams of marijuana, 12 daos and liquors from various places of Basar and Tirbin.